Here are some pages that I hope you find helpful in your classroom. I have taken my 11 years as a classroom teacher and my years as a storyteller, since 1981, to find ways to enhance the classroom and entrance your students through storytelling. 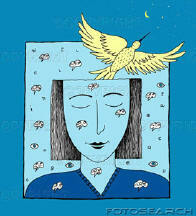 I give free use to all my thoughts and gatherings...but I would like to know, if you used them and your comments. That will help me in choosing future topics. Please write to me at Marilyn Kinsella. Poster for "Family Reading Night" - copy this info onto your Word Document and add pertinent information for your special event. Workshop Handouts - Handouts from many workshops for teachers, librarians, and fellow storytellers. Character Education Home Page - with teacher ideas to use in the classroom and Belleville's "Festival of Stories." Storyteller EDU-Websites and articles - Websites from fellow tellers who also include helpful information for teachers. And, there are published articles from tellers, as well. Study Guides - Original study guides developed over the years for a variety of subjects and age levels. 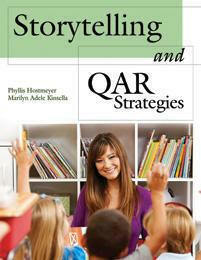 Bibliography on EduStorytelling Books - Links to bib websites. Marilyn was accepted by the Illinois State Board of Education to provide CPDUs for teacher certification!! "When telling, when you let go of the script, the teller taps into the creative spirit. I feel that reading, although it has many, many other benefits, does not allow the reader to enter into the creative moment. Yes, you can read expressively and add your own interpretation, but it does not allow for that precious moment when your words, actions, and emotions flow along with the creative spirit at the helm. I guess it's the same in other arts as well. Once you know something, you can take it and make it your own."